GoJS offers many advanced features for user interactivity such as drag-and-drop, copy-and-paste, in-place text editing, tooltips, context menus, automatic layouts, templates, data binding and models, transactional state and undo management, palettes, overviews, event handlers, commands, and an extensible tool system for custom operations. Build custom modeling environments and domain-specific visual languages using the powerful features of GoJS. Provide both a system editor and a read-only status monitor using shared code and templates. Simultaneously show alternative visualizations of the same data in different diagrams. 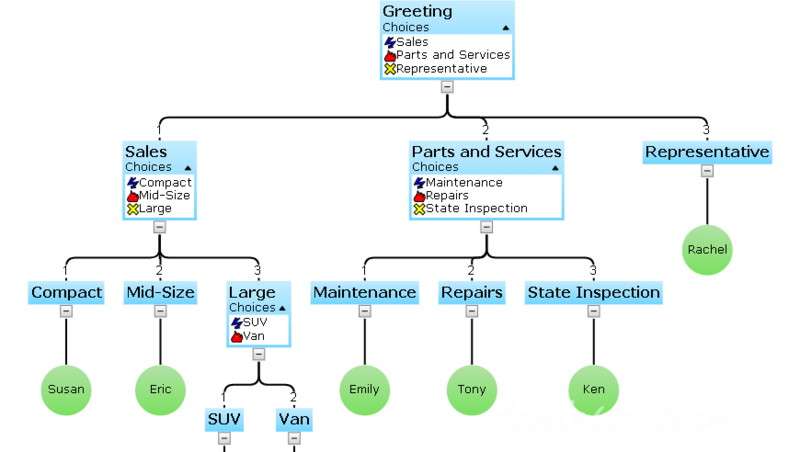 Implement drill-down using expansion of subtrees and subgraphs or a detailed view in another diagram. Yet GoJS is remarkably simple for such a powerful and flexible system. Our thorough documentation introduces the basic concepts and demonstrate typical features that most apps want to offer. Nodes and links can be arbitrarily detailed according to the needs of the application. The API consists of only a few dozen important classes which encapsulate many useful features that interact with each other. There are many properties that permit simple customizations; some methods may be overridden for more complicated customizations.